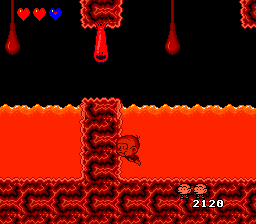 Stay at the top right side after falling down into the water. 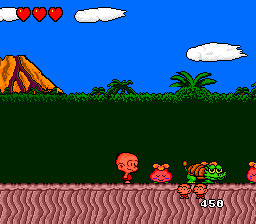 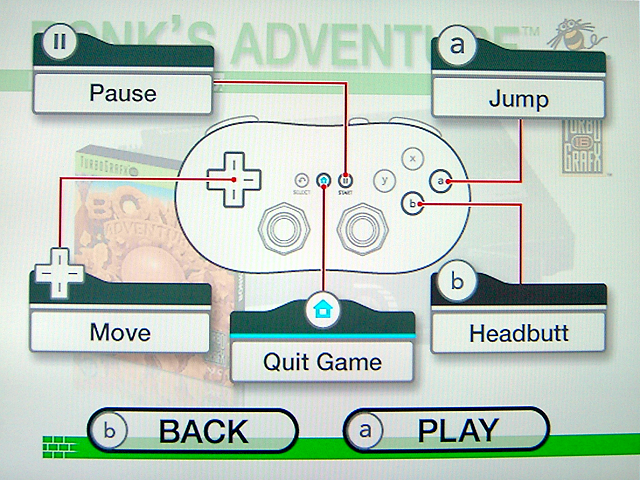 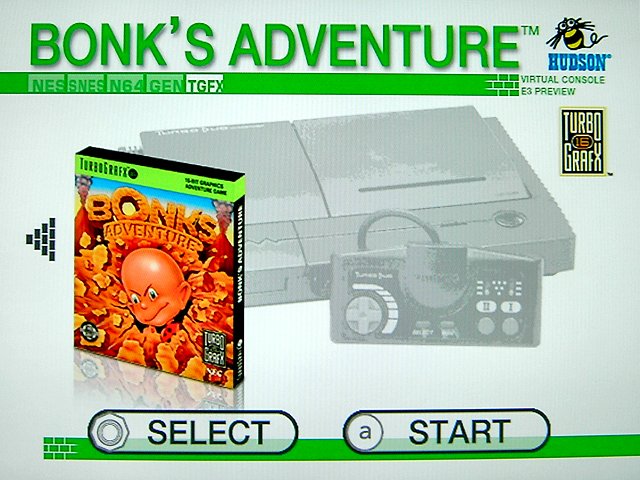 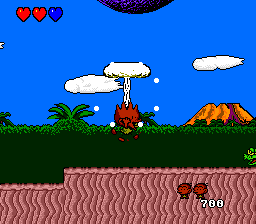 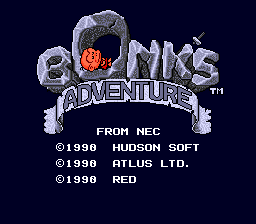 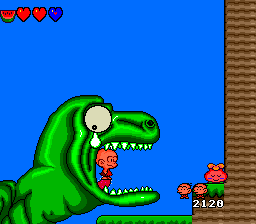 Jump and spin while pressing Right when Bonk's head is halfway out of the water to move above the screen. 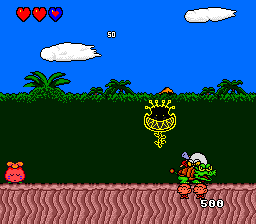 Move to the right to reach the skull elevator.